Rancho Obi-Wan is a museum that contains the world’s largest privately-owned Star Wars collection. 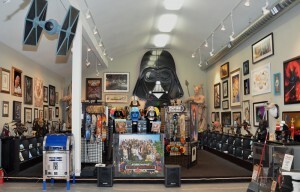 It was amassed over 37 years by super-collector Steve Sansweet. It is housed on private property in rural Sonoma county just outside Petaluma, California. 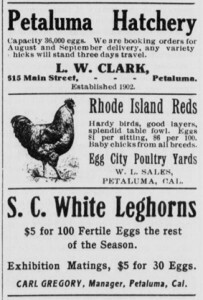 The 9,000-square-foot (828 m²) museum building was once home to over 20,000 chickens during Petaluma’s egg-producing heyday. Rancho Obi-Wan was originally established in 1998 after Steve moved from Los Angeles to become Director of Content Management and head of Fan Relations at Lucasfilm. The first “Rancho Obi-Wan” was one of three old hen houses on the property. After an extensive renovation Steve had plenty of space to display his collection with room to grow. During this time, Steve showed his collection only to friends and colleagues. Steve retired from Lucasfilm as a full-time employee in April, 2011, after 15 years. At the same time, after three new movies and eight Star Wars Celebration conventions, the collection had outgrown its original space. An expansion project incorporated a second hen house into the museum and reorganized the entire collection into a space that could be shared with fellow fans and collectors from around the world. In October, 2011, Rancho Obi-Wan, Inc., was founded as a California nonprofit public benefit corporation to manage the collection. 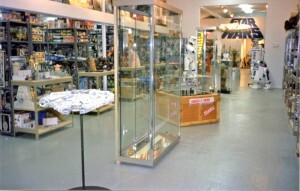 It serves the public through the collection, conservation, exhibition and interpretation of Star Wars memorabilia and artifacts, using the collection to provide meaningful educational, aesthetic, intellectual and cultural experiences to a wide array of audiences and to carry out other charitable and educational activities associated with this goal. As a publicly supported, federally recognized charity, Rancho Obi-Wan’s mission is to inspire! Star Wars has transformed our own lives. We hope to further inspire others by giving guided tours of the private collection in Petaluma, traveling to conventions with carefully curated displays, supporting other organizations in their charitable efforts, and reaching out to children (and adults) of all ages.